Cancer is one of the leading killers of children, but Jonathan J. Shuster and the Children’s Oncology Group (COG) are determined to change that statistic. Shuster is an expert in statistical methodology for the design and analysis of clinical trials, particularly in the area of childhood cancer studies. “The studies that Dr. Shuster designed have made significant progress in the treatment of many forms of childhood cancers,” says Ronald H. Randles, former chair of the UF statistics department. Shuster’s efforts in cancer research have led to spectacular results – including a high cure rate with some types of leukemia. In 1996, he discovered a significant pharmacological interaction between two common anti-cancer medications. This finding had a major impact on leukemia and lymphoma treatment for both children and adults. Shuster has published the results of his research in The New England Journal of Medicine, Journal of Clinical Oncology, Leukemia, Statistics in Medicine and other major medical and statistics/biostatistics journals. 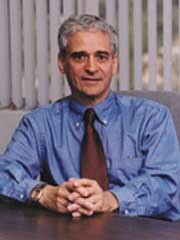 His book, Practical Handbook of Sample Sizes for Clinical Trials, is widely used in medical research. Shuster was named a fellow of the American Statistical Association for his work on successful treatments of childhood cancers and his scholarship in clinical trial statistical methodology. As director of the COG Research Data Center, Shuster is responsible for the data from all COG clinical trials and biological studies of cancer patients from more 250 hospitals and medical centers in the United States, Canada, Switzerland, the Netherlands and Australia. In the United States, more than 90 percent of children diagnosed with cancer prior to age 15 receive treatment from COG institutions. Shuster’s program receives more than $2 million per year from the National Institutes of Health.